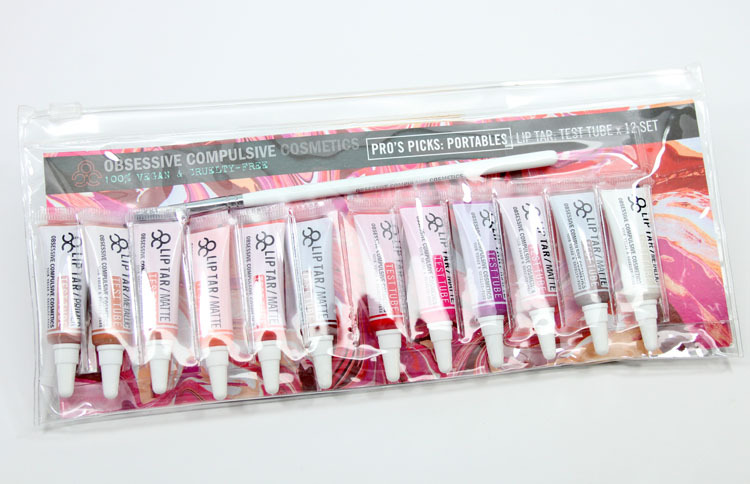 Obsessive Compulsive Cosmetics Pro’s Picks Portables Lip Tar Test Tube x 12 Set is brand new and available now! 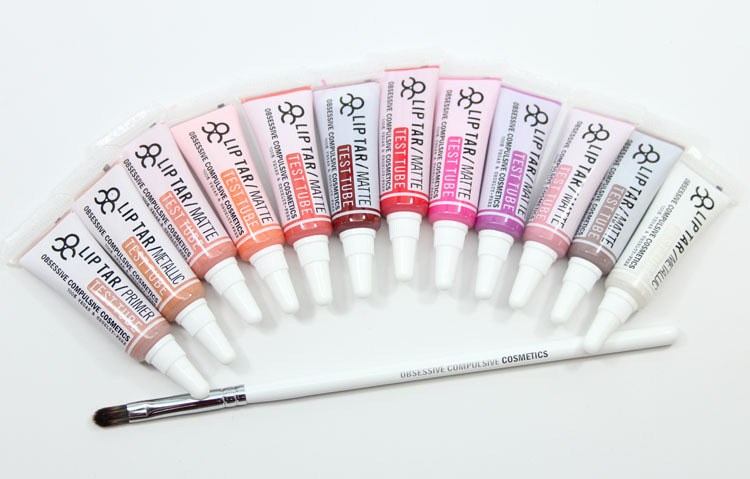 This set includes twelve test tube sized Lip Tars (0.08 oz) in both metallic and matte textures. It also comes with their Precision Lip Brush, which is the perfect brush to apply Lip Tar with. 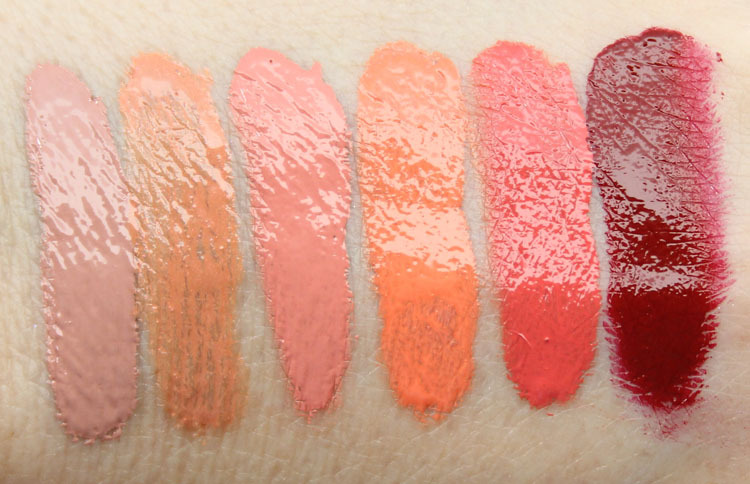 I do not have lip swatches of these because my lips are tore up at the moment so I thought I would spare you the sight. Sorry! 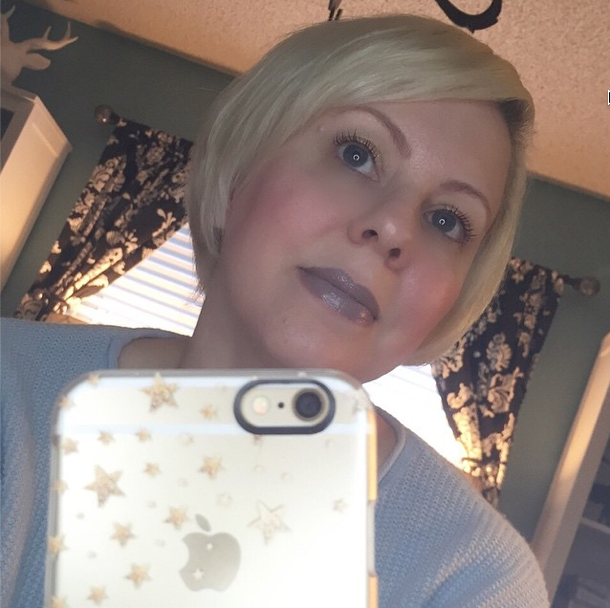 Interlace is a pale peach creme matte. Zhora is a peachy shade with pink shimmer. Annika is a neutral peach creme. Cha Cha is a tangerine creme. Grandma is a coral creme. Vintage is a deep burgundy creme. Harlot is a bright red creme. Perfect classic red. Nylon is a neon bubblegum pink. Love this bright pink! Digitalis is a pink/lilac creme. Hoochie is a bright magenta creme. Another seriously amazing shade, I highly recommend this one. Sebastian is a plum-toned taupe creme. This is my favorite one because it reminds me so much of MAC Folio which I wore the hell out of in the 90’s. It made me look dead, but I liked it anyway! Iced is a pure white frosty metallic. Ok I do have one iPhone 6 photo of me wearing Sebastian here for ya. You can find this set at Sephora now! 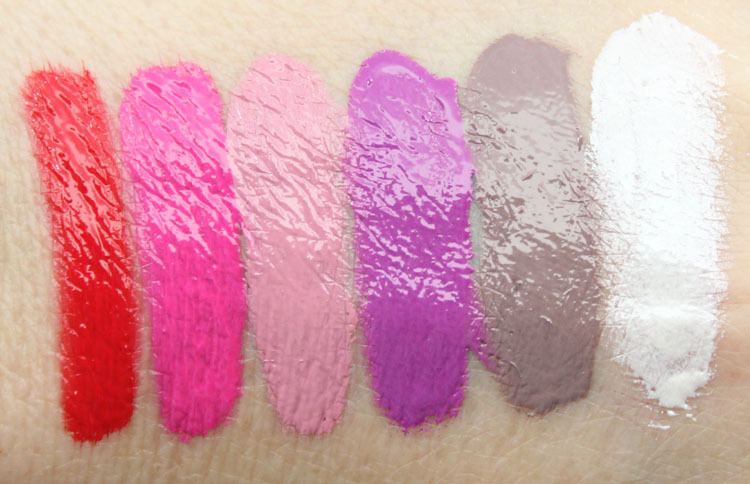 Which are your favorite shades here? Would you buy this set if you are new to OCC to check them out?